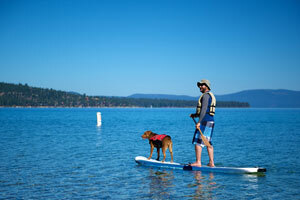 Summer in Lake Tahoe offers abundant opportunities to enjoy water sports. 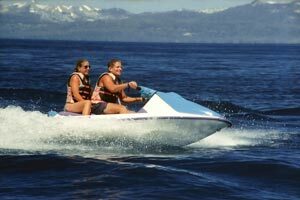 Whether you are looking for a thrilling whitewater adventure, a relaxing afternoon of fishing or something in between, Lake Tahoe likely has a water sport to match your interests. When you are ready to cool off in the water, consider these five ideas for some wet summertime fun. 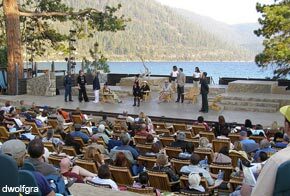 There really is nothing quite like a night at the theatre and guests are sure to be in awe at the spectacle that is the Lake Tahoe Shakespeare Festival. This year's calendar includes Romeo and Juliet - "The Greatest Love Story Ever Told", The Fantastiks - "The World's Longest Running Musical", Showcase Series Events (every Monday night features a diverse lineup of performers) and of course, the D.G. Menchetti Young Shakespeare Program. Lake Tahoe is the perfect summer getaway, and it’s just too good not to invite the kids along for the adventure. 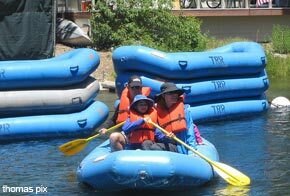 So you might have to listen to a few ‘are we there yet’s during the car ride over to your destination, but you won’t regret the extra company once you realize all of the fun kid friendly activities there are to do in Tahoe! 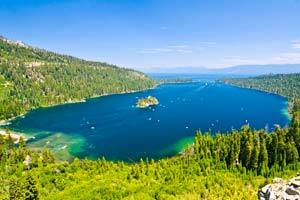 Year after year, in the sunny summer month of July, Lake Tahoe explodes with visitors. 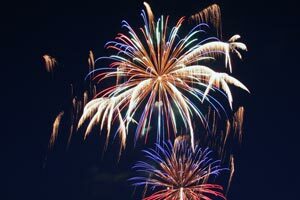 They have come to enjoy the pristine sandy beaches, cool mountain breezes and watch the 4th of July fireworks in South Lake Tahoe. 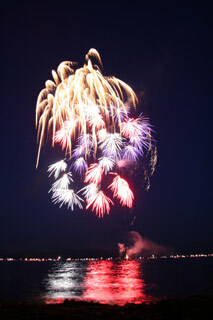 Few places are as spectacular to spend the fourth of July as Lake Tahoe for a traditional way of enjoying the great outdoors and a few activities on the patriotic holiday. Between the smell of the pine trees to the attractions that are available in the downtown region, there is much to enjoy for a family-friendly environment that welcomes thousands of visitors each year. Whether going solo or spending time with family, there are several options available depending on your group size and interests. SUP (stand up paddleboarding) has been attracting people from all walks of life for awhile now, probably because it works great to tone the body and it’s just plain fun. Because you have to balance your body on the board, your core and legs get a workout in order to keep you from falling off, while the paddling itself incorporates cardio and strength training for an entire body, but low impact workout. SUP began long ago in Hawaii as a plausible way for beach guides to keep a watchful eye on tourists. It is now one of the most popular sports across the globe. For holidays and special occasions, few places are as spectacular to spend the day at than Lake Tahoe. 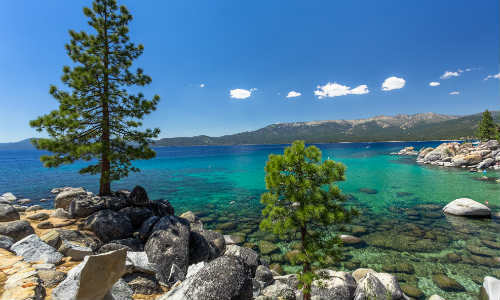 Located on the border of California and Nevada, the location boasts scenic views and a freshwater lake that is known as one of the largest in the country. For those spending time in the destination on Father's Day, there are a variety of outdoor activities to enjoy for an incredible way of bonding in the environment. 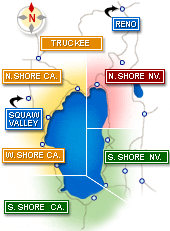 What Are the Best Things to Do in Spring in Lake Tahoe? Although we do say goodbye to winter with a heavy heart, it only means that spring is upon us and with it comes one of our favorite times in Lake Tahoe! 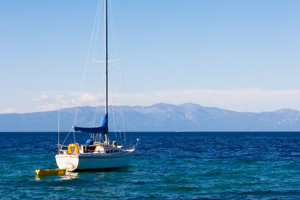 Spring activities in Lake Tahoe are second to none, and take advantage of the quieter season before the hoards of tourists start the great migration to the Lake. 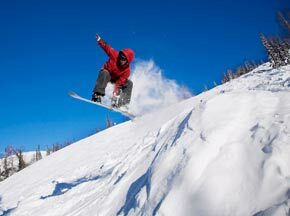 If you're wondering how to best capture your upcoming ski trip to Lake Tahoe this winter, consider our 7 tips for taking great pictures on the slopes. Even if you aren't using anything more than a single-use camera, you can still take great action shots of your vacation. As long as you "know" your camera and prepare properly, you'll come home with pictures from Lake Tahoe that won't bore all your friends to death.